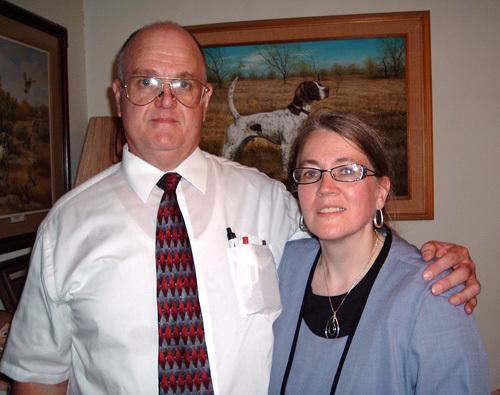 We (Gary and Lora Polson) live in Stillwater Oklahoma and operate Polson Enterprises. I (Gary) come from a long line of ancestors in this region and am a many generation Oklahoman, while Lora was born in the west. Lora is a BIC (that’s church clerk speak for lifetime member of the Church of Jesus Christ of Latter-day Saints) and currently serves as a youth Sunday School teacher and Conducts the music. She worked full time for Oklahoma State University, home of the Cowboys for many years. She now works in our home businesses. Strength Tech, Inc. where primarily sell foam and vinyl to prisons to recover weight lifting equipment. Polson Enterprises where I am a technical, market, and patent research consultant, and webmaster numerous sites, including MormonCharts.com. I am also an advocate for boat propeller safety. Both our mothers are aging and we try to assist them as we can. Altogether, like most LDS families, we stay pretty busy. My ability to reduce complex situations to charts that make concepts easier to understand has led us on many adventures. Over the years I have created hundreds of charts. Many of them have some sort of ties to LDS themes ranging from scriptures, to families, to genealogy, to the trek west, LDS church clerk training aids and tools, and more. Lora has been very active in guiding and encouraging their design. We will be illustrating several of them here. More recently we have made some advances in techniques used to search genealogical databases and plan to cover them here as well.